Today, as we continue our firm profile series, we’ll be looking at Analysis Group. Founded in 1981, Analysis Group is one of the largest economic consulting firms in North America. Stacked full of big-brained folks, most of Analysis Group’s 600+ staff hold advanced degrees in law, economics, finance, accounting or business. It’s not just their impressive credentials that sets employees apart; Analysis Group has a strong reputation as a great place to work and has scooped up a hatful of awards, including Glassdoor’s 2015 Employees’ Choice Award for small and medium businesses. Not a small, or even a medium, deal. Analysis Group was formed by Bruce Stangle and Michael Koehn in 1981 in Belmont, MA. Both former Arthur D. Little consultants and Ph.D.s, Analysis Group’s initial focus was on mergers and acquisitions before moving into other areas such as intellectual property and antitrust. The firm’s ethos, as evidenced by their bent toward advanced degrees, is a blend of academia and business litigation through economic research. Initially working out of nine offices in the U.S. and one in Montreal, Analysis Group is now beginning to stretch its wings internationally, having opened a Beijing office in 2012, and with other opportunities for growth not far on the horizon. As Analysis Group has grown over the past few years, they have become well known for creating a collaborative environment. Everyone is in it together and everyone wants to help each other succeed. Compared to MBB, you’re unlikely to get as much access to C-level execs, but you are going to work with a large number of experts across a number of fields. To use their legal work as an example, Analysis Group has worked with the 25 largest law firms in the country, which would give you access to some of the greatest legal minds around. On a day-to-day basis, you may could be helping a law firm critique their opponent’s expert analysis and developing financial models, or you may be working with government and corporate clients, helping them value companies, analyse markets and place for mergers and acquisitions. Analysis Group seems to be uniquely positioned in the consulting world. In some ways, it feels like a boutique firm, whereas in others it feels like a pure strategy firm. Analysis Group is mostly known for its economic consulting and work with law firms, having worked regularly with the 25 biggest law firms in the US. However, it also offers financial, and business strategy consulting as services to corporations and government agencies. Analysis Group is pretty prescriptive in terms of the careers that are open to its employees, depending on his or her level of education. If you are an undergraduate or a graduate, you will start out as an Analyst. At other firms, an MBA or Advanced Degree is a surefire way of getting hired into a more senior role, but relevant experience will also open that door to you. At Analysis Group, however, you simply will not get above the analyst pay grade without an MBA or a Ph.D. If you do have the requisite education, you will be hired as an Associate. From there, assuming all goes well, you will then become a Manager, then Vice President, followed by Principal and Managing Principal. Analysis Group offer both Summer Analyst and Summer Associate internships. As with most internships, the option (and the goal) is to get hired full time, should you impress them sufficiently. As such, internship offers are tougher to land than full-time ones. Analysis Group alum have gone on to do a lot of different things because opportunities abound. Even though Analysis Group is somewhat boutique, the work they do is across a broad enough spectrum of industries and practice areas that you will not be pigeonholed in the same way you would be other boutique firms. Compared to MBB, whose alumni often go on to become CEOs at household brand name companies, Analysis Group’s alum portfolio is not as impressive – but should be no means be disregarded. Having Analysis Group on your resume communicates a brand that conveys intelligence and a driven, high-performing nature. One thing that cannot be ignored: given the high number of staff members with Ph.D.s and Law Degrees, one common exit opportunity is to go back into academia or law. In addition to this, having so many staff members with degrees that are uncommon among the mainstream field of management consultants gives former Analysis Group staff the chance to exit into fields that are unavailable to most management consultants. It’s often said that one year in consulting is worth three years in the industry, and working at Analysis Group is a valuable experience to have, no matter what you want to do after. Nancy Wogrin Confrey – Founder – Health Beacons, Inc. Analysis Group’s firm culture is one of its strongest selling points. Analysis Groupers can’t seem to stop themselves from waxing lyrical about how great it is to work there, how great the management staff is etc. etc. etc. – always a good hallmark of any culture. Just like that friend of yours who’s saturating social media with pictures of their new kitten, Analysis Groupers gushing praises can start to sound a bit monotonous after a while. Let’s not forget, however, that having staff who are as happy as Analysis Groupers seem to be really does speak volumes about what it must be like to work there. Among the many things Analysis Groupers can’t seem to get enough of are the work-life balance at the firm (although you should not be surprised if you’re working 16+ hours days as you approach important deadlines), the fact that you don’t have to travel as an Analysis Group consultant and the investments that middle and senior management make in their junior colleagues. In terms of career development, again, the report is very positive. There are lots of informal training opportunities, classes and support if you’re applying for grad school. The whole grad school issue does raise an important consideration for those of you without advanced degrees. Without an MBA or a Ph.D., you won’t get very far up the ladder, which, no matter how talented you are, is going to have a huge bearing on your compensation. The good news? Analysis Group pays if you want to go back – yet another reason to rave about how great it is to work there. Access – Maintaining close ties to top-level individuals in government, academia, and industry, with the goal of providing clients, access to the best people possible. Collaboration – Fostering good relationships within teams, between teams, and with clients. Responsiveness – As a result of all the work they do with experts, Analysis Group can quickly identify whom to work with and can scale their cases up or down as the situation requires. Pragmatism – A simple focus on workable and relevant solutions. About half of Analysis Group’s recruitment comes from its presence on various campuses, with another large portion coming from online applications. They generally conduct their interviews over two rounds. The first interview is either on campus or over the phone and the second is at one of their offices. While it is always a smart move to be sharp when it comes to your cases, at Analysis Group, they don’t do case interviews. What?! That’s right – they are one of the only firms without a focus on cases. It’s a great news for those of you with dazzling personalities who break into hives at the sight of mental math. As such, you need to make sure you can talk about your resume and your experience backward, forwards and at length. 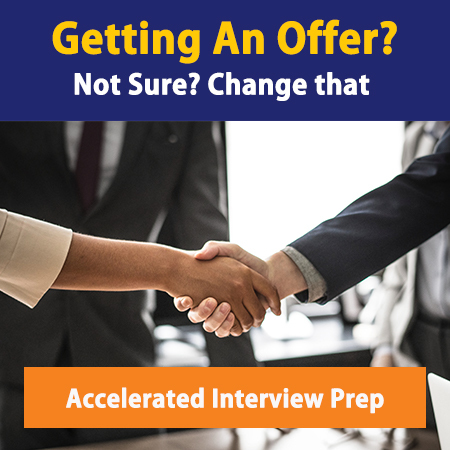 They place a much higher value on the fit element of the interview when compared with other firms, so be prepared to speak highly of yourself and your past achievements. Analysis Group recruits at a very small number of schools, and the schools are usually tied to the presence of a hot, fast-growing regional office. Analysis Group is an Equal Opportunity Employer – but other than that, they don’t have focused programs that could help with recruiting.